This ethno-botanical and horticultural monograph is the first full taxonomic revision of Brugmansia, a genus in the Solanaceae family and the most potent and culturally important of South American psychoactive enthogenic plants. It is used extensively in religious and spiritual ceremonies in shamanic cultures, and it is also a spectacularly beautiful garden plant. 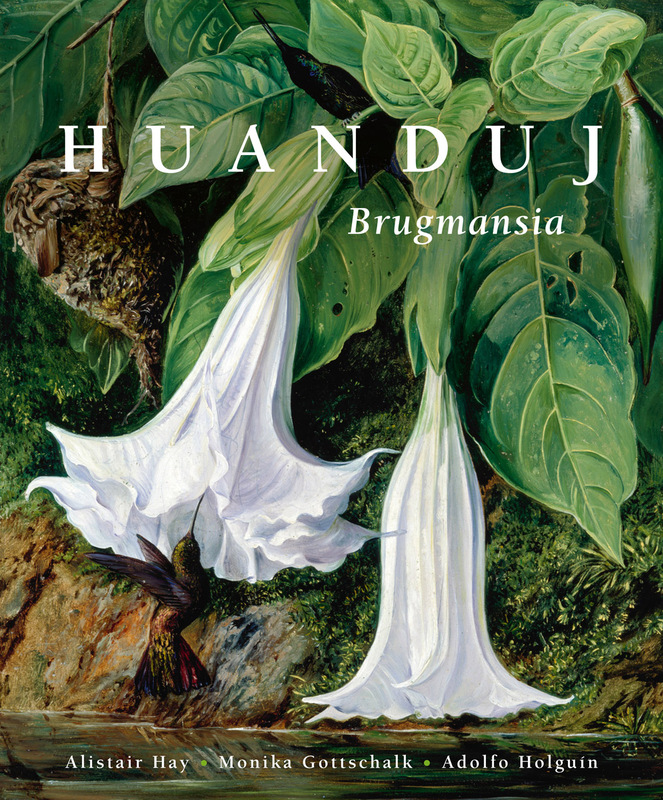 Huanduj: Brugmansia combines original field and botanical research with horticultural expertise and the review of more than six hundred bibliographic references spanning the sixteenth century to the present day. It covers every aspect of the plant from its history, anthropology, and ethno-botany, to its taxonomy, biology, pathology, biotechnology, and its cultivation both as a garden plant and for its psychoactive derivatives. Beautifully designed and extensively illustrated with examples of species and cultivars, this comprehensive volume is an excellent resource for anthropologists, botanists, biologists, horticulturalists, and anyone with an interest in this fascinating genus. "I searched for ages for the single right adjective to describe this book—an almost impossible task, it is so lovely. Sumptuous about does it . . . this book is a tour de force—chock full of information, beautifully illustrated, meticulously referenced."